Cloud-based enterprise-wide software, including Human Capital Management (HCM) systems, now have so many bells and whistles that organizations easily can become overwhelmed when evaluating and comparing applications and their features. Some of these newer features can be very useful down the road as organizations get a good handle of the new technology and align processes around such enhanced capabilities. Others, however, may not be useful at all and can add unnecessary costs and time to an otherwise complex project. When evaluating must-have recruiting and on-boarding features for a new cloud HCM software, organizations must carefully gauge whether their chosen HCM solution has the functionalities that will serve both their current and future HR needs. Cloud HCM Software should offer customized views specific to each user. This could include dashboards that feature the tasks an HR employee or division manager must complete during a specific day. More than a calendar, it would include items awaiting their action, open requisitions, scheduled interviews or even webinars they need to attend. Having such live dashboards makes it easier for the employee to get a better handle on tasks without having to search for them in different areas. Customized views also can also provide access to on-demand reporting tools so HR employees can make quicker, data-driven decisions with the proper information always at their fingertips. Further, as some organizations require the need to filter HR information for different users or groups, such customized, role-based views can satisfy this security need. Cloud HCM software can have the greatest capabilities; but if it doesn’t integrate with an organization’s various legacy systems, it won’t drive comprehensive value. As an example, the software of choice should integrate easily with common email and calendar programs, including Outlook and Gmail, to provide the HR team with seamless way to schedule interviews. The on-boarding functionality or module also should integrate with various background checking vendor systems and job board aggregators an organization partners with to enable better data sharing for applicants. Further, organizations should ensure the system they choose offers APIs for any custom integrations needed relating to their current environment as well as potential systems identified for the future. 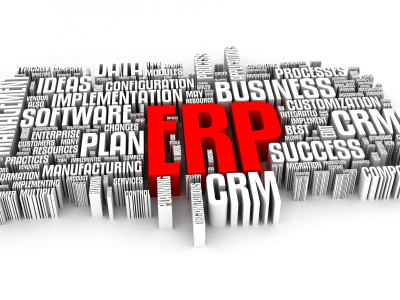 Emtec’s HCM consultants have built several real-time and ad-hoc integrations for clients between their legacy HCM and other third-party systems, including PeopleSoft, ADP, SAP, UtiliPro, and other applications, which eliminates the need for multiple and manual entries. The Cloud HCM system of choice should bring powerful mobile capabilities. Is the mobile app available in both the Apple App Store and Google Play Store so it’s accessible on both major platforms? Also, it should offer a fully-mobile enabled Career Center page that allows applicants to easily search for jobs. Further, look for a fully enabled Talent Center area. This enables HR employees to utilize mobile devices for various on-boarding and performance management tasks such as annual policy acknowledgment statement reviews. Emtec has helped many clients customize their Cloud HCM to enable mobile access for users. Native mobile Career Centers and Talent Centers enable mobile-based applications, mobile on-boarding, policy updates, documents and other self-service functionalities, which helps attract talent as well as provide ease of use for current employees. When reviewing Cloud HCM applications, look for a solution that offers a wide range of functionality to serve both the HR department as well as the rest of the organization throughout the entire employee lifecycle. For example, in the recruiting and on-boarding areas, it should support creation of position requisitions, interviewing and screening of candidates as well as enable smooth on-boarding of employees and closing of requisitions after filled. During the employee’s tenure at the firm, features including benefit management, time tracking, compensation and work-life functionality to enable employee self-service are important. Lastly, HR tools to manage the various processes required for all employment phases including career development, succession planning and termination are key. If your organization is exploring Cloud-based HCM software and comparing features, Oracle’s HCM Cloud should be #1 on your list to evaluate. 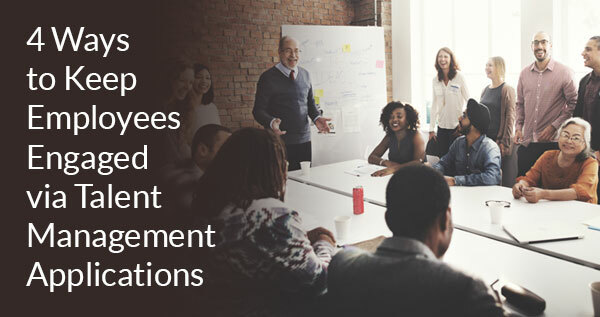 Oracle’s HCM Cloud system offers powerful, modern features that support all your organization’s Recruiting and Talent Management initiatives. To get a sneak peek into this innovative HCM suite, watch our on-demand, guided tour of Oracle’s HCM Cloud. From selection, implementation, integration, training and support, Emtec’s HCM team can help you make the jump to cloud painlessly. Contact us to discuss your unique needs. Mike is an expert in both recruitment and on-boarding processes as well as a proven implementation project manager. He has over 10 years’ experience in the implementation and and integration Taleo Business Edition with over 1,500 implementations. Mike’s previous roles included 10+ years in recruitment, HRIS management and recruitment operations. His experience spans both the SMB market as well as Fortune 100 companies across the US and internationally.